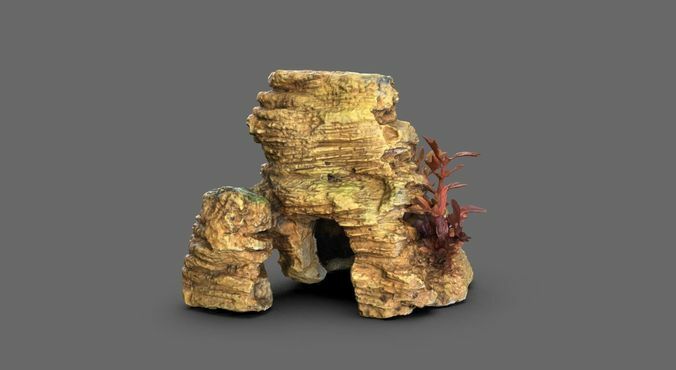 High detailed 3d scan of an Aquarium Rock House for fish. This model has been accurately scanned using structured light scanning. High resolution texture is included. This model is perfect as a reference for modeling, sculpting, retopology, and more as it is the perfect form and scale of the original item scanned. This model is in it's raw format, it may be necessary that the purchaser retopologize the object and bake a map to reduce the polygon count for gaming, and other applications.